I am selling a web based bot for DRAGON BALL Z DOKKAN BATTLE on Android and iOS platform. Many accounts in stock, get new every day! Open for custom orders! Below you will find a list with accounts I offer and their buy links. It works with the global and japanese edition of the game and supports iOS and android accounts! You can use the bot on your windows computer, Macbook, iPhone, iPad and any other device that has a web browser. The price is 9.99$ per month and you can use it with up to 4 accounts per license. Want to use it with more accounts? Contact me. Its time to show you the new panel of the bot. There have been some changes and I would like to show them to you. It is used to add accounts to the bot. 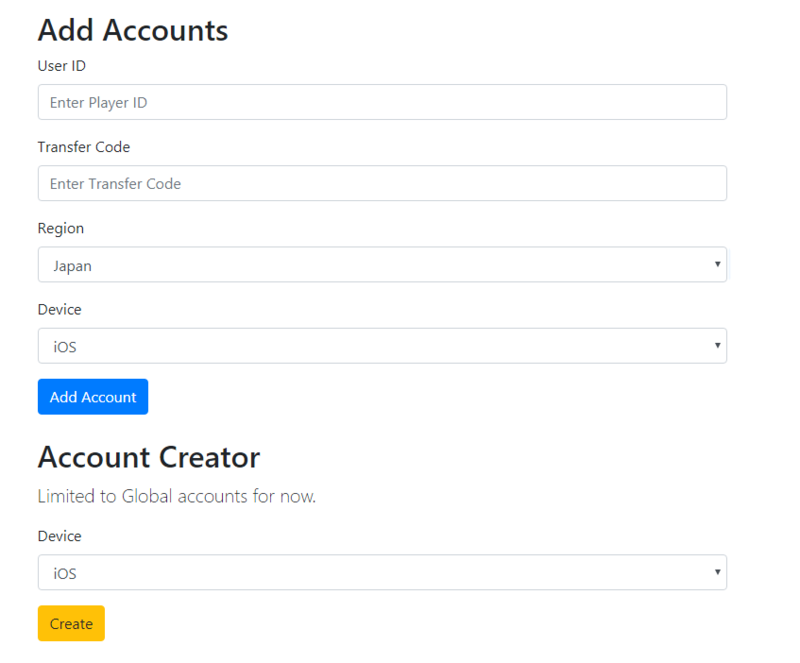 The account creater allows you to create accounts that have finished the tutorial and adds them directly to your account. Here you will find a list with your accounts that are added to the bot. Now comes the interesting part, the farming! You can also complete / farm zbattle quests with this bot! Thats it with the overview, I am constantly working on updates for the bot and our community always finds new excellent features that extend the bots possibilities. 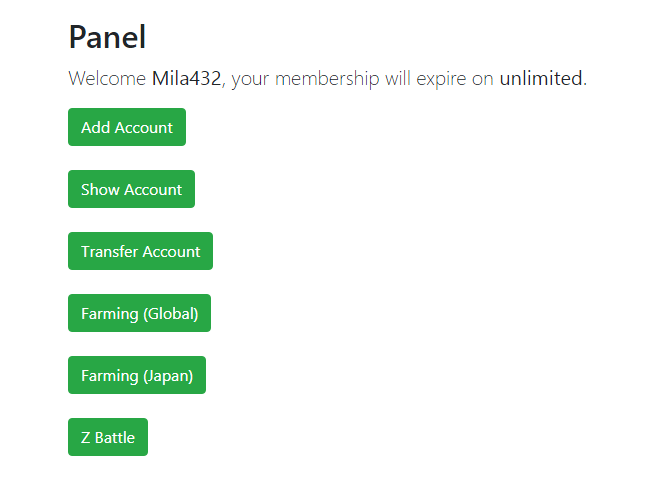 Do you want to upgrade your starter account to a high end account? Looking for cheap rank 230+ with 1300+ dragon stones? i am looking for vouches so i am giving out accounts for free! also if you can record a video where you show the account please let me know , i will send one to you! Received a vouch copy of an account for iOS and I can confirm they work and contain everything promised! Don’t hesitate to buy one of these accounts! I've send you a friend request on discord, name is Noctis. added many new accounts come and check them out ! If the offer is still standing, I'll be happy to review your product. I'm quite interested in option 8. I received an account for review and can happily report that it is as advertised. My friend bought one and he was happy as well. 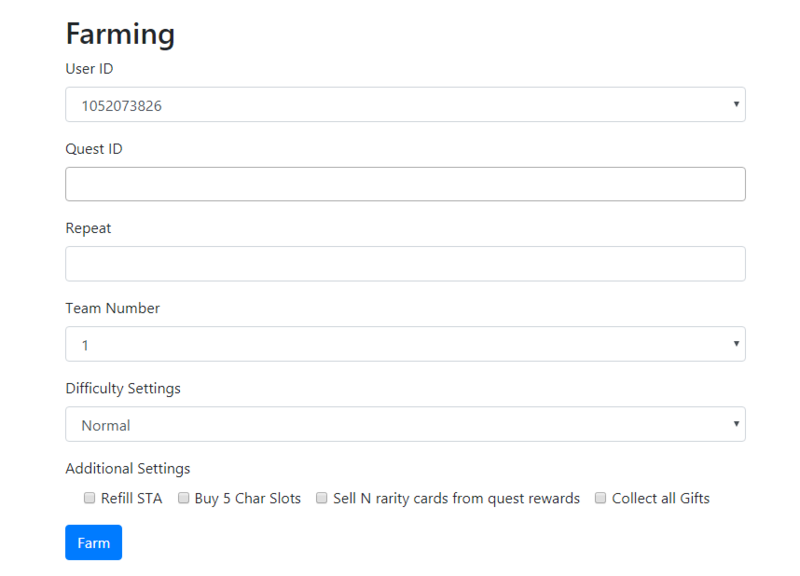 i am giving away 3 vouch accounts, you can get one if you leave feedback and a trade rating for it! I have traded 3 times with this shop. It is cheapest among the other shop. Don't hesitate to come and visit this shop! have new fresh accounts come check them out! added many new account types, come check it out! Farmed Accounts [Global] (iOS) with Goku & Vegeta and Goku (Angel) & Vegeta (Angel) & Farmed Accounts [Global] (Android) with Goku & Vegeta and Goku (Angel) & Vegeta (Angel) are back in stock, quickly buy some before they are out again! Quick question. On the sheet you have an account hat says goku and vegeta and goku Black. Is that the lr goku Black? And lr gogeta or vegito? #450 with 3 lr goku blacks and broly I think it was.